The total UK on-trade wine market has declined by over two million cases in three years, but consumers are prepared to spend more money on premium wine when they go out. Credit: Pixabay. The total UK on-trade wine market has declined by over two million cases in three years, but consumers are prepared to spend more money on premium wine when they go out. These findings from Liberty Wines’ Premium On-trade Wine Report 2018 come despite average bottle prices in the premium on-trade rising almost three times faster since 2014 than the rest of the on-trade. Spending on sparkling wine and champagne in the premium on-trade has increased by 149% since 2013. English and Welsh sparkling wines have enjoyed double-digit growth every year since 2013. The rest of the on-trade has experienced an 80% rise in the past five years. 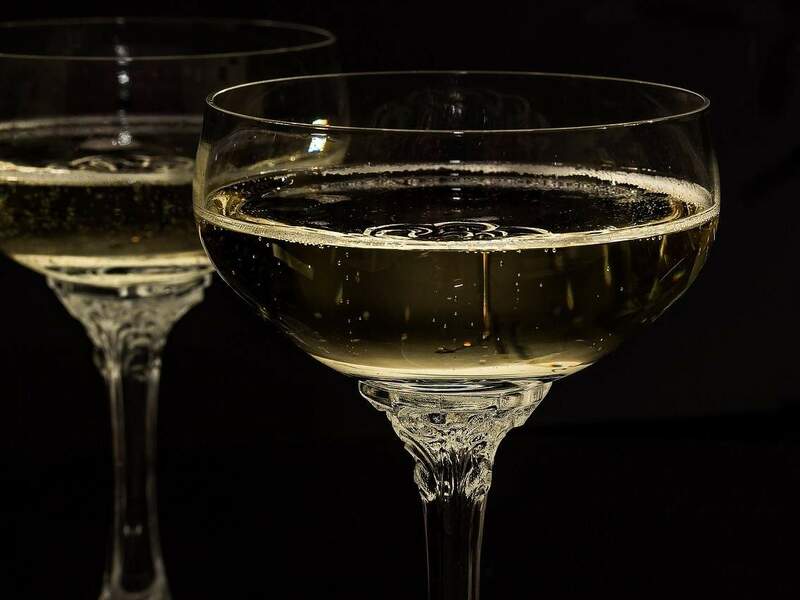 In the premium sparkling wine category, men drink more than women of every of every category except Prosecco; 65% of English sparkling wine drinkers and 61% of champagne consumers were men. More than 60% of the total wine drunk in the premium on-trade comes from European countries. Sales from France, Italy and Portugal grew in 2017. The growth of Portuguese premium wine meant that the country had a discernible market share of 0.4% for the first time. Australian wines often made from unusual grape varieties attracted premium wine on-trade consumers, and the search for elegance was causing the continued growth of Pinot Noir. Chardonnay has experienced a comeback driven by sales of high-value Australian varieties with a 17% increase in volume and 25% increase in value in 2017. Although Sauvignon Blanc remained New Zealand’s top-seller in the UK premium on-trade, its Pinot Noir varieties were growing in popularity accounting for 20% of total premium wine sales from the country. Portugal’s market share increased by 1% between 2013 and 2018 to reach 6%. The most frequent visitors to the premium on-trade are aged between 18 and 34. However, 35 to 44 year olds are almost three times more likely to experiment with premium wines than the whole sample and five times more likely than the younger 18 to 34 age group. The most conservative group at both the low and the high spending levels of the premium on-trade were 45 to 54-year-olds. David Gleave, managing director, Liberty Wines said: “It is clear there remains capacity for growth within the premium on-trade, despite the uncertain economic climate, especially if consumers can experiment more and drink better wine. “One of the most positive aspects is that the growth derives from a much more diverse range of grape varieties than in the past. This bodes well for outlets with the skills required to put together an adventurous list. The Liberty Wines’ Premium On-trade Wine Report 2018 developed by importer and wholesaler Liberty Wines in collaboration with food and drinks industry data specialists CGA. The report combines on-trade sales data with consumer research to consider how the premium on-trade wine market, which is defined as premium restaurants, hotels, gastropubs and bars, has developed in the past five years.